What’s Involved in Sizing a New Air Conditioner? Summer is a great time to install a new air conditioner, letting you get a jump on those high energy bills with a more advanced and efficient system. But before you pull the trigger, you need to take several important steps to ensure that you have the best unit for your home. Chief among these is sizing your air conditioner, which means determining that its power output is matched to the space it needs to cool. If it’s too powerful, it will short cycle (turning on and off too quickly) which wastes considerable amounts of energy, and if it’s not powerful enough, then it will constantly strain to do its job adequately. So what’s involved in sizing a new air conditioner? Here’s a brief rundown of some of the most important considerations. Posted in Air Conditioning | Comments Off on What’s Involved in Sizing a New Air Conditioner? A new air conditioning system has to follow what we like to call the Goldilocks Rule: neither too large nor too small but just right. 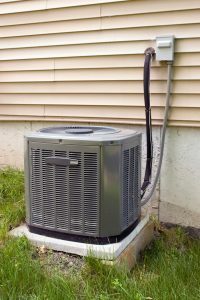 Most people know that an underpowered air conditioner won’t cool your home efficiently—a huge problem in cities like Westlake, OH, with its hot and humid summers—but it may surprise you to learn that overpowered systems can cause even more damage. If it’s too big, your system will short-cycle: turning on and off rapidly and wasting all kinds of energy as well as adding unnecessary wear and tear to your system. A trained professional can size your air conditioner properly, to ensure that it’s the right power levels for you. Here are 3 factors involved in sizing your new air conditioner. Summer is almost here, and now is the time to determine whether or not your air conditioner can survive another hot season. The question is: do you know when your old system is ready to be replaced? 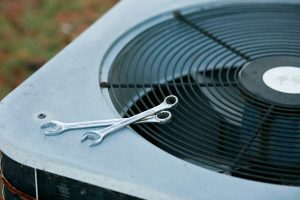 If you try and get through another summer with an air conditioner that isn’t able to cope with it, you may find yourself with a broken system in the middle of a hot day. So, in order to avoid that unpleasant possibility, have a look at these 3 signs that your air conditioner needs replacing. Is a Heat Pump a Good Substitute for Air Conditioning Installation? When it comes to air conditioning installation in Avon, OH, residents can’t afford to take chances. Summer heat comes in a close second to summer humidity around here, and a good air conditioner will be your best friend when the mercury starts to rise. If you’re planning to install a new air conditioner, you may want to think about a heat pump as a viable alternative. These are units designed to both heat and cool your home, depending on the need and the season. Is a heat pump a good substitute for air conditioning installation? That depends on your circumstances, but in many cases it can be. Both heat pumps and more traditional air conditioners rely on the same basic system. Refrigerant gas moves through a series of valves and coils that pressurize it, convert it to liquid state (releasing heat into the nearby air), and then evaporate the liquid (pulling heat from the air which can then be blown into your home via a fan) before starting the cycle again. The only difference is that traditional air conditioners simply vent the hot air outside of your home. Heat pumps are designed to use that hot air to warm your home in the winter, while still using the cool air to bring temperatures down in the summer. 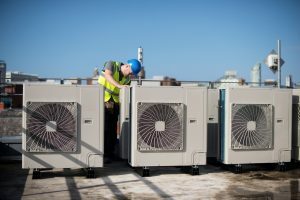 Heat pumps cost a little more to install than traditional air conditioners and their efficiency tends to drop when temperatures get particularly cold. But that last issue can usually be solved by purchasing a hybrid unit. More importantly, because they don’t need natural gas or other fuel to produce their heat, the pump cost less to run from month to month than other forms of air conditioning. And because they combine heating and cooling into one unit, they make home comfort a lot simpler to achieve. Only you can decide if a heat pump is a good substitute for air conditioning installation, but the experts at Westland Heating and Air Conditioning can help. When it comes to air conditioning installation, Avon OH residents can rest easy in our hands, so pick up the phone and give us a call today! Posted in Air Conditioning | Comments Off on Is a Heat Pump a Good Substitute for Air Conditioning Installation?